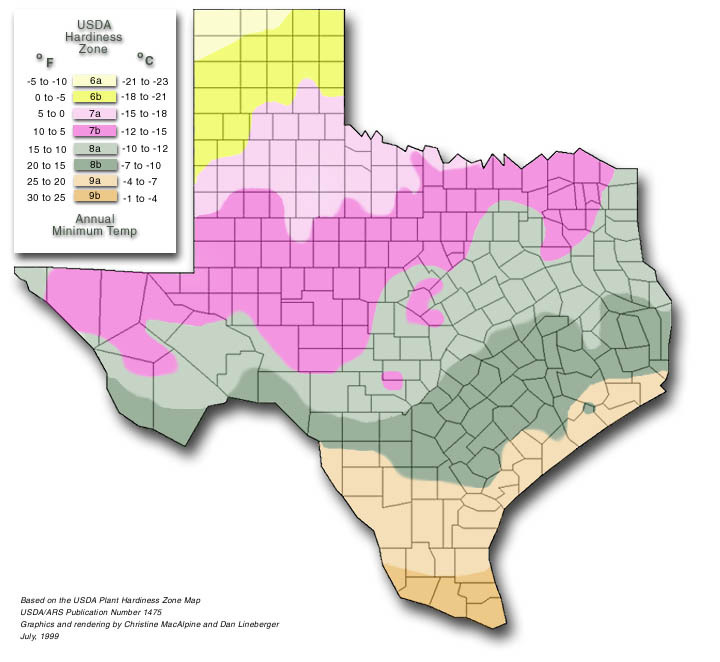 USDA cold hardiness zones for Texas, and the average minimum low temperatures expected for those zones. Note that proximity to buildings, bodies of water, and other plant-related factors such as excessive vigor may be mitigating factors in determining whether a plant survives at a given temperature. Additional information on the USDA hardiness zones can be found here: USDA Plant Hardiness Zones Map.